Get a high-level overview of the major pieces of Angular 2 and learn how they fit together to create a powerful framework for building out applications. Learn the differences between Angular 1 vs Angular 2. Use the Angular CLI to get started quickly. And compose large Angular 2 applications using services, routes, and subcomponents. Plus, harness the awesome power of observables in your applications. 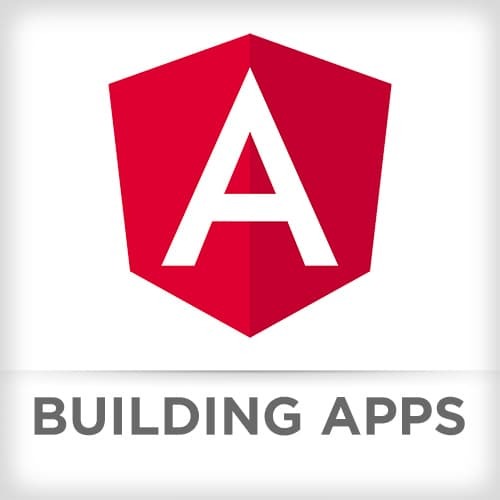 Lukas Ruebbelke introduces his course, Build Web Apps with Angular 2. Lukas sets the course's first-day agenda to construct a single feature in AngularJS. Lukas covers the features and benefits that are in Angular 2 over its previous version. Breaking down the makeup of Angular 2, Lukas reviews Module, Routes, Component, and Service. Continuing to explain the various building blocks inside the Angular 2 framework, Lukas discusses Directives, Data Bindings, and Metadata. Lukas covers Services, specific tasks that can be used in Angular 2 components. In this challenge, students identify the major Angular 2 pieces in the sample application. Then create a new property to the Items component binding it to the view as well as another property to the ItemsService to be consumed by a component. Lukas explores Angular 2 sample application, walking through the solution to Challenge 1. Lukas reviews Ahead-of-time (AOT) compilation and its benefits within Angular 2. Talking about future updates, Lukas discusses extensible blueprints. Lukas demonstrates building a project with Angular CLI, showing how to generate a Component, a Service, a Build, and linting. In this challenge, students use the Angular CLI to build the application. Taking questions from students, Lukas walks through the solution to Challenge 2. Lukas demonstrates his approach for creating component classes: Create, Import, Decorate, Enhance, and Repeat (CIDER). In this challenge, students create a Widgets feature. Using an ES6 class for the widgets component, import any necessary modules, decorate the component to use the widgets template, and display the widgets component in the home component. Lukas reviews the Hashtag Operator that defines a local variable inside a template which is available to sibling and child elements. He then reviews the Asterisk operator, which indicates a directive that modifies the HTML using the <template> tag. Lukas covers the Elvis (Safe Navigation) Operator that be used to guard against exceptions being thrown when a variable that does not exist is referenced. Lukas walks through solution for Challenge 3 and takes questions from students. Just like with components, services in Angular 2 are just a class. The API for a service is defined by creating methods on the class. Services are made available by adding the @Injectable decorator. After they are properly decorated, they can be imported and consumed in any other component class. In this challenge, you will create a widgets service class and a widgets collection. After introducing the challenge, Lukas spends a few minutes answering some audience questions. Lukas walks through the solution for Challenge 4 and takes questions from students. Lukas wraps up Day 1 of Build Awesome Apps with Angular 2. Lukas covers the agenda for the second day of the workshop. Reviewing first day's topics and taking questions from students, Lukas covers modules, routes, components, and services in Angular 2. By making a review feature including file structure, component class, and template, students will create a project that covers concepts covered in the first day's material in this challenge. Lukas walks through the solution for Challenge 5 and takes questions from students. Going over a brief history of Angular, Lukas compares the architecture styles between Angular 1 and 2. Rather than build ever larger view/controller modules in Angular 1, the recommended approach was to either break the application into named routes or separate directives. Angular 2 has evolved to a component-based approach. He also describes many of the features and benefits of a component system architecture. While reviewing @Input and @Output decorators, Lukas takes questions from students. Lukas codes an example using an @Output decorator and a custom EventEmitter. In this challenge, students create widgets-list and widget-details components using @Input and @Output. Lukas breaks down the solution into two parts. In this first part, he creates the widgets-list component. Abstracting the templates, Lukas continues demonstrating the solution to Challenge 6 by creating the widget-details component. Before moving onto integrating forms, Lukas reviews data binding and component and answers students questions. Lukas introduces the FormsModule, controls and validate styles in order to create and manage forms in Angular 2. Adding custom CSS rules, Lukas shows how to modify the visual appearance of form controls when they are valid or not. To handle mutable operations, Lukas covers the concept of creating a local copy of an object that can update without letting the shared object be overwritten until the local copy is ready to be emitted. In this challenge, students make a form for the widget-details component, bind the form to a widget object, and submit the details to the parent component. Lukas covers the solution for Challenge 7 as well as demonstrates a couple of debugging techniques. The HTTP Module in Angular 2 simplifies the use of the XHR and JSONP APIs by using RESTful verbs and returning an observable object. Lucas takes a look at some the methods available in the API. In this homework challenge, students create a method inside the service that uses HTTP to get JSON. Wrapping up the course, Lukas takes questions from students about his preference for Observable over Promise; how to keep a portion of a page from displaying until data comes from a service; potential memory concerns for Subscribe methods; and more.